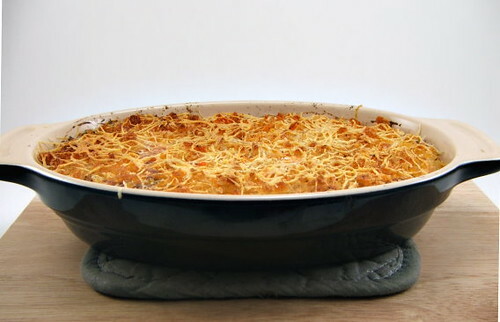 I was reading Closet Cooking today, a wonderful blog by the way and a must read, and he had a recipe for Jalapeno Popper Dip posted which set my mouth to full water. It is at this point where I must tell you that I love dips, warm dips especially, and I knew that I would be making that dip to go with dinner. I did make some changes to the dip, not that it really needed them, because we do our jalapeno poppers a little different at our house. First, I added bacon to the dip. When we make poppers we wrap them in bacon and put them on the grill. Bacon and jalapenos are a natural together. Add cheese and it is bliss. Knowing this, I knew bacon would be a welcome addition to the dip. Second, I added garlic. Mostly just because I like garlic, but also because it would round out the flavor some. Third, because I added garlic I felt compelled to add fresh onions. I cooked them first so they would blend into the dip better. Last, I added cumin. 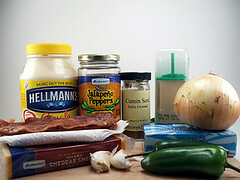 It is rich and warm, and it compliments garlic and jalapenos really well in Tex-Mex cooking. Besides, I love cumin and I figured with the heat from the peppers I could use some earthy spice. This dip may require a 12-step program. It may well be the best dip I have ever eaten, and trust me when I say that I have had a lot of dip in my day. 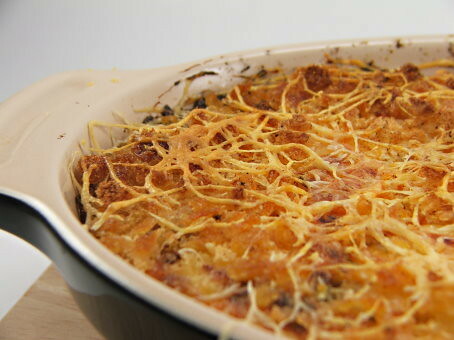 Take this to a pot-luck and you will have people begging for the recipe. 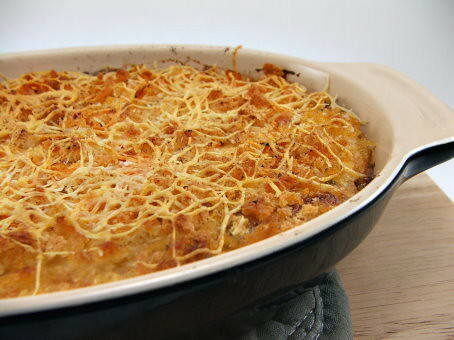 Make this for a party and don’t expect a lot of conversation as people go back for seconds, and thirds. I know we kept going back for more, even after we had eaten dinner and were too full for dessert. In a small saute pan heat the butter over medium heat until foamy. Add the onion, jalapenos, garlic, bacon and cumin. Saute until the onions begin to soften. Remove from the heat to cool slightly. Blend the cream cheese and mayonnaise until smooth. 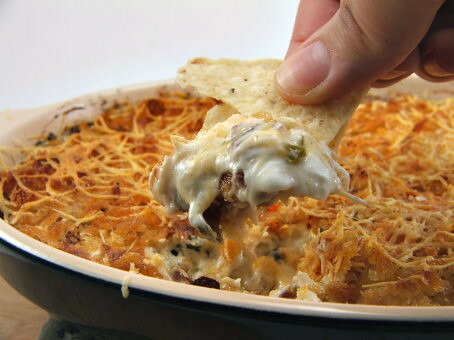 Add the cheeses and chopped pickled jalapenos. Add the sauteed ingredients and stir to combine. 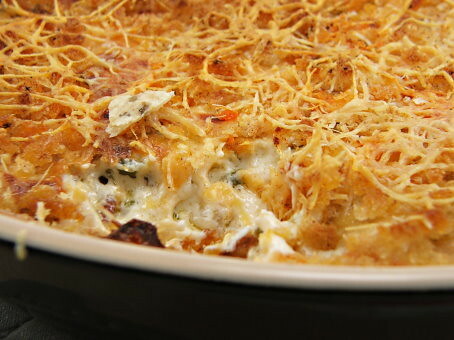 Spread the dip into a small casserole dish and top with the panko, Parmesan cheese and paprika. Bake for 30 minutes, then cool for five minutes before diving in.